My dears, can you imagine anyone at Washington making even passing reference to the word ETHICS? Diogenes of Sinope can safely take a pass on Washington in his search of an honest man. 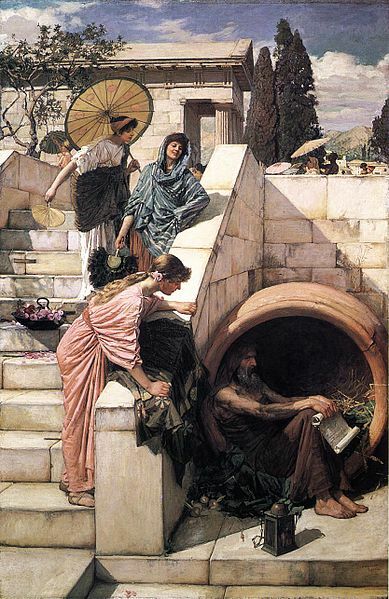 In this Greek philosopher painting Diogenes “the Cynic”, Greek philosopher, was born in Sinope (modern day Sinop, Turkey) about 412 BC (according to other sources 399 BC), and died in 323 BC at Corinth. Details of his life come in the form of anecdotes (“chreia”) from Diogenes in his book The Lives of Eminent Philosophers. 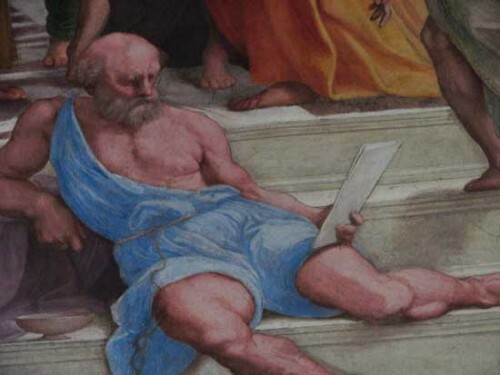 Diogenes of Sinope is said to have been a disciple of Antitheses, who (according to Plato’s Phaedo) was present at the death of Socrates. Diogenes, a beggar who made his home in the streets of Athens, made a virtue of extreme poverty. On a voyage to Aegina, he was captured by pirates and sold as a slave in Crete to a Corinthian named Xeniades. Being asked his trade, he replied that he knew no trade but that of governing men and that he wished to be sold to a man who needed a master. Pope Francis made a startling confession on Friday — revealing that he never wanted to be the world leader of the Roman Catholic Church. “I did not want to be Pope,” Francis told an audience of Jesuit students during a candid question-and-answer session at the Vatican, The Telegraph of London reported Friday. 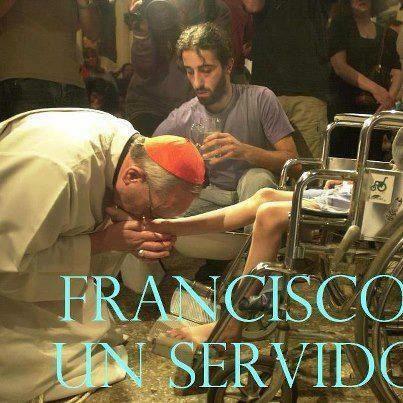 The pontiff added there was a reason he had rejected living in a luxurious apartment at the Vatican, opting instead to reside in its modest residence hotel. “It would be bad and boring,” he explained. During the same audience with the students, the Pope also condemned global poverty, labeling it a “scandal,” The Telegraph reported. 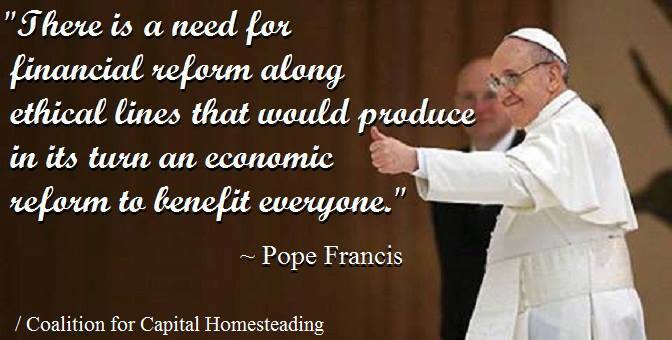 “Lay Christians have to get stuck into politics. Politics is dirty, but maybe it’s dirty because Christians are not involved,” he said. Francis is not the first pope to reveal he had no aspirations to head the church. His predecessor, Pope Benedict XVI, who resigned Feb. 28, once said he had prayed to God not to be elected to the position. “Evidently this time he didn’t listen to me,” Benedict quipped at the time. According to The Telegraph, Pope Francis also revealed Friday that he will not spend the summer in the luxurious church palace in the hills of Castel Gandolfo, breaking a centuries-old tradition. Instead, he will remain in Vatican City, in the Domus Santa Marta residence where he has lived in since March, his spokesman Father Federico Lombardi said. One reason that Popes usually leave Rome for the summer is the stifling and oppressively humid heat that envelopes the city for several months. 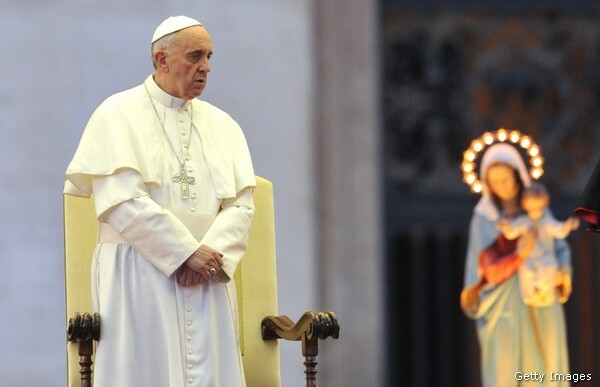 But on Sunday, Francis does plan to make a brief journey to Castel Gandolfo, where he’ll say a Sunday blessing. Dear Jack, Ethics: Human behaviors aligned with something morally good or morally bad. All but with a few exceptions, I dare ask whoi nthe world even cares? One deception covers another. An Honest man? These days? If and when you find Him please do let me know. Money has to serve, not to rule is a strong and truly a wise statement from our humble leader.